Inspired from the composition and typology of the famous Mondrian Sideboard, Mondrian bar arises with the aim of satisfying a different function. Intended to be a bar, this seductive piece brings a new form to the Mondrian family and is specially arranged to keep the entire ritual associated with the pleasures of drinking. 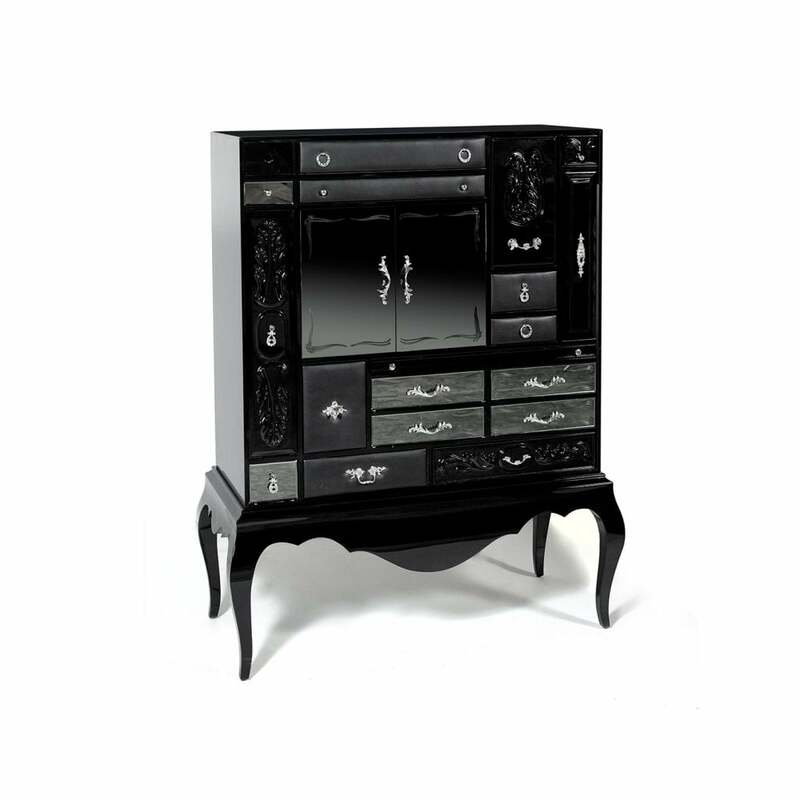 Composed by a collection of styles and typologies of drawers that consists of different finishes from glass to leather and lacquer encased in a smoked black glass box and supported by a high gloss lacquer solid wood base. Many of the drawers are accented with fabric-lined bottoms, and handcrafted brass pulls in a natural finish and/or coated in chrome. This piece is also available in black or white.